FASHIONCLASH had the honor to put emerging designers on display during celebration of 200 years of The Kingdom of The Netherlands. 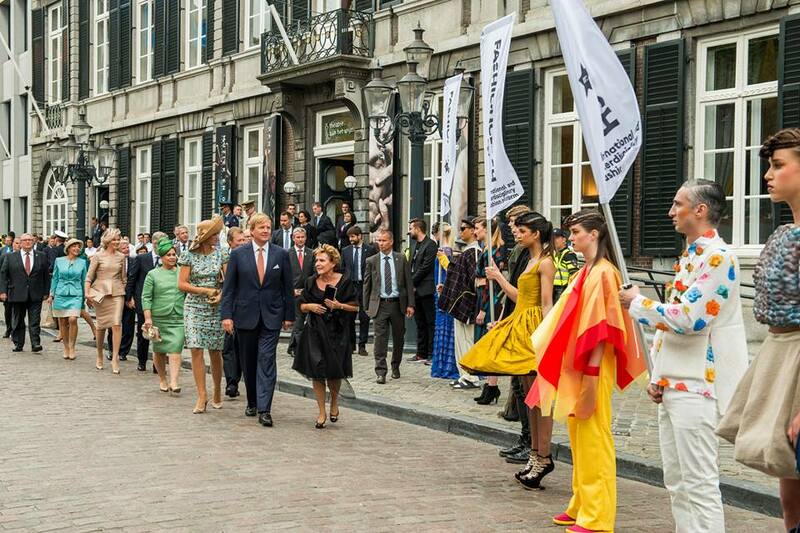 On Saturday August 30th the city of Maastricht welcomed the Dutch royals and international guests for the celebration of 200 years of Kingdom of the Netherlands. Throughout Maastricht’s main squares various festivities where organised. Celebrations began at the Markt in Maastricht with the arrival of His Majesty King Willem-Alexander and Her Majesty the Queen Máxima, Their Majesties King Philippe and Queen Mathilde of Belgium, Their Royal Highnesses Grand Duke Henri and Grand Duchess Maria Teresa of Luxembourg and the Federal President of Germany Joachim Gauck and his partner Daniela Schadt. The city of Maastricht invited FASHIONCLASH to organise a fashion presentation that will mark the cities ambition of 'Fashion Maastricht' and show the development of Maastricht as a fashion city. FASHIONCLASH had its presence on the Onze Lieve Vrouwenplein and in the Stokstraat district, juxtaposing avant-garde fashion and design with the chic side of Maastricht; a clash of generations and styles. De Bijenkorf Maastricht took care of the chic Maastricht styles. The main focus for FASHIONCLASH was on a new generation of designers such as Yojiro Kake, Eumni Kwon, Likeme(N), Ebby Port, Carlotta Actis Barone, Marko Marosiuk, Klekko, Judith van Vliet, Linda Friesen, Nawie Kuiper and Branko Popovic. The presentation was accompanied by harmony St. Walburga Amby. Kevin Murphy was responsible for the beautiful hair styling and Sessibon’s team took care of show direction and choreography. This event is powered by City of Maastricht.